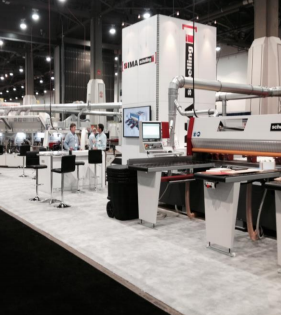 IMA America and Schelling America announce great success at 2015 AWFS Fair Raleigh, NC -IMA America and Schelling America are pleased to report that the AWFS show in Las Vegas was a big success for the companies. This year’s fair delivered high traffic volume in the booth and generated a large number of leads. During the show, IMA and Schelling were able to close several orders. They are very happy with the turn out and will definitely be back for the next AWFS in 2017.